Gnejna Bay is hugely popular in summer. The small stretch of sands can fill up quite quickly and sometimes even the car park runs out of spaces. In the winter and spring months it’s a somewhat different story and the bay and its glorious surroundings can be enjoyed in relative peace and quiet. On the bay’s southern arm is a series of rickety stone built boathouses. Walk along these and after you leave them behind start making your way through the rugged garigue and boulder fields beyond. It’s rough going and although there are paths it is sometimes difficult to pick them up. 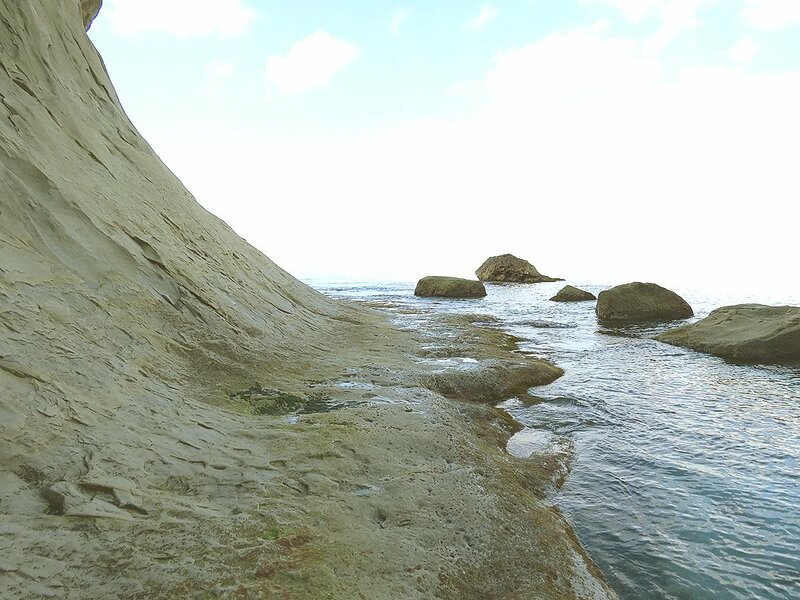 Keep as close to the coast as humanly possible while avoiding the shoreline bound boulders and once you turn past the head of the bay a white clay slope becomes visible. This is where you should head – making your way down carefully over the rocks here. It is safe enough for the average trekker but as always one should watch one’s steps with some care. 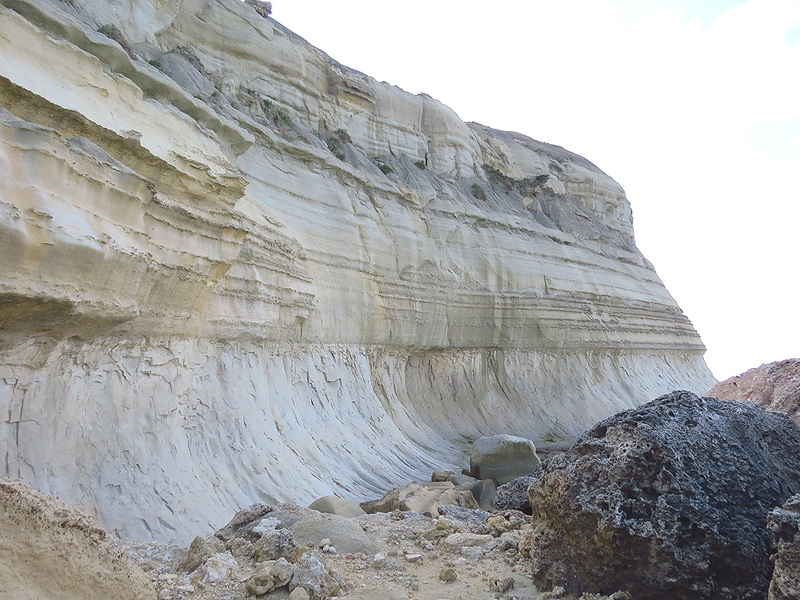 Once you make it down to the foot of the clay slope follow the narrow foreshore for about a hundred metres and … voilà! Quite suddenly two squarish sea caves open up and well…they are quite marvellous. 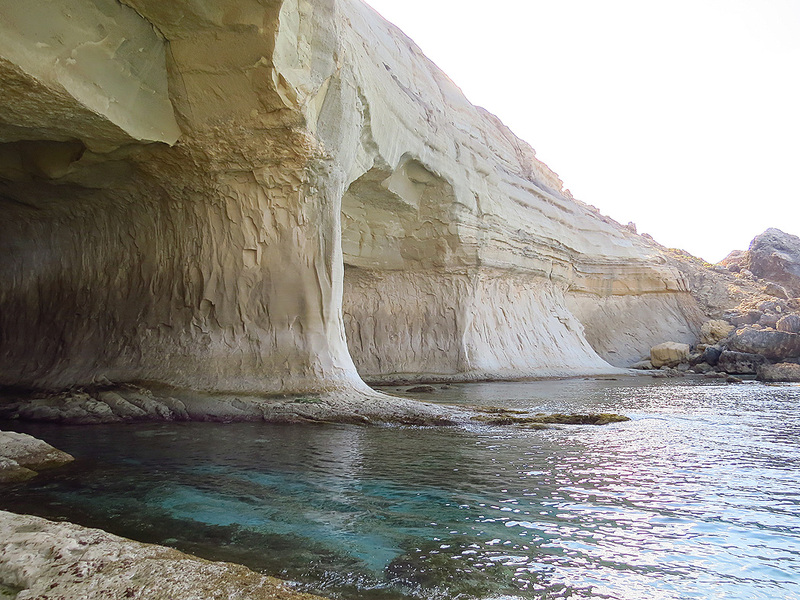 Collectively known as l-Ghar ta Maria, (Maria’s Cave) it’s not quite known where the name originates from. Given their very secluded location it is quite likely they were pirates’ hideouts in the past although these days they are more of an attraction to canoers who venture this far from Gnejna. But it’s the seclusion of the place that is the real wonder here – a place sculpted by nature over the millennia and totally untouched by human hands. It’s a place for wonder and if the sea is not too cold maybe a dip in the crystal clear seas is called for too. The trek ends at the first of the two caves and one has to go back by the same way. 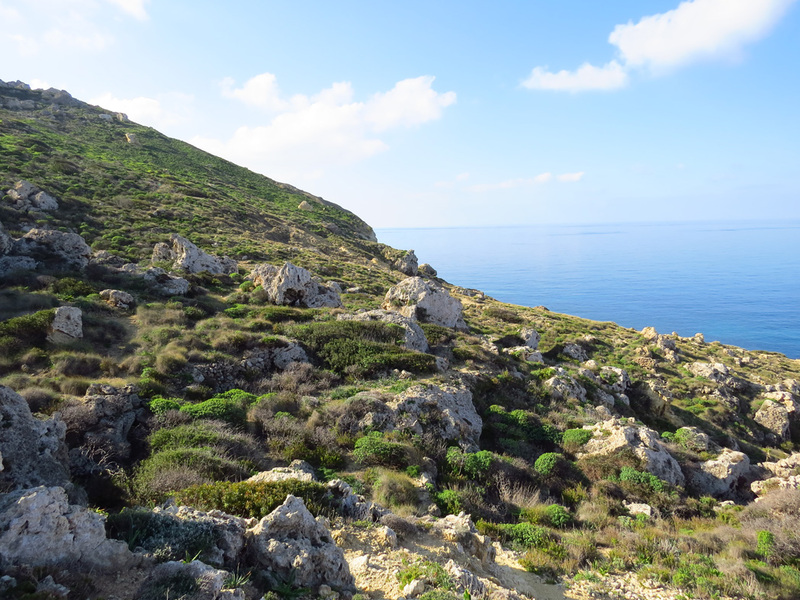 L-Ghar ta Maria takes about 40 minutes to reach from Gnejna Bay and good trekking shoes are a definite requirement. However due to the narrow sea ledge on the approach to the caves the trek should NOT be attempted if the westerly wind is blowing with some force as the ledge could be washed by treacherous waves. Enjoy safely.